Foxit Reader is one of the best all-round PDF packages available, exceeding what many of its paid-for rivals do whilst remaining completely free. If you're looking for great free PDF software, head in Foxit Reader's direction. It makes the bold claim that it is 'better than Adobe PDF Reader and Acrobat', but this isn't merely a case of hubris from the new kid on the block. Foxit Reader has been around for half as long as Adobe's PDF software, but it's been making some serious waves along the way. It's secure, light on system resources and loads up quickly, and the Microsoft Office-style ribbon bar keeps options tidy and easy to find. Separate PDF documents can be loaded in the same window thanks to Foxit's tab system, ensuring your desktop doesn't get clogged up with multiple windows. When it comes to reading and editing PDFs, Foxit puts in a truly strong showing. You can highlight text, insert bookmarks, draw graphics, type on the document and more. Create PDF documents from scratch, convert images into PDFs or reverse the process and change PDFs into text documents – it's all there in Foxit. Then when you're done, you can easily share your work with collaborators or on social media using Foxit's extensive range of integrated tools. 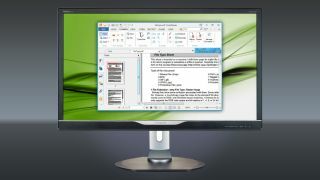 Foxit Reader's main rival is Adobe Acrobat, and while Acrobat has a few more advanced features, it also currently costs $19.99 a month to use (about £12.79 a month); Foxit is totally free, packed with features and more than meets the needs of the everyday user.